out of the car, get onto the bike. 8. Keep moving, keep low, keep quiet, keep alert! 9. No place is safe, only safer. 10. The zombie may be gone, but the threat lives on. Don’t be carefree and foolish with your most precious asset—life. This book is your key to survival against the hordes of undead who may be stalking you right now without your even knowing it. 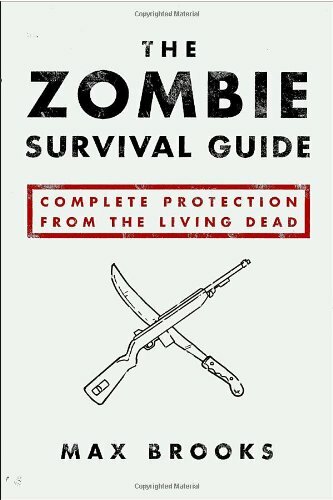 The Zombie Survival Guide offers complete protection through trusted, proven tips for safeguarding yourself and your loved ones against the living dead. It is a book that can save your life. From the Trade Paperback edition. Max Brooks was born in New York City on May 22, 1972. He received a bachelor's degree in history from Pitzer College. From 2001 to 2003, he was a member of the writing team at Saturday Night Live and won an Emmy for his work. He is the author of The Zombie Survival Guide, World War Z: An Oral History of the Zombie War, and The Zombie Survival Guide: Recorded Attacks. World War Z was made into a movie starring Brad Pitt. He is also a television and voice-over actor. He has appeared on Roseanne, To Be or Not to Be, Pacific Blue, and 7th Heaven. His voice-over work includes Batman Beyond, Buzz Lightyear of Star Command, and Justice League.